As you know, I am passionate about news astrology, and using it as a way to illustrate the personal impact of current events on our private lives. 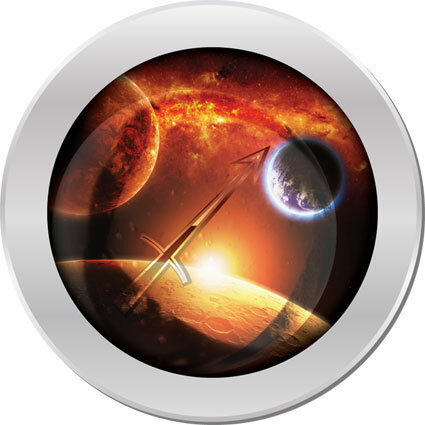 Sagittarius glyph for The Mars Effect by Lizanne Webb. Here samples of written Mars Effect readings, and a few audio samples. I'm equally passionate about personal astrology -- the kind that helps us figure out where we're at in life and how to consider our current circumstances. The astrology that helps reveal our life plan, purpose, talents and resources. The astrology that can really, truly help with career, relationships and business. Even within our wild era, 2014 is no ordinary year -- it's unusual even on the scale of the past 50. We're now in the peak of the Uranus-Pluto square, a time that will be remembered for its many changes and developments. I have information that can help you -- the results of four months of work, and the latest edition of a 15-year tradition of Planet Waves annual editions. Our cresting moment is indicated by the presence of Mars within the slow-moving Uranus-Pluto aspect. Mars will soon be retrograde and will make a series of aspects to powerful forces, bringing many things to the front of consciousness. This is what I'm calling The Mars Effect. That term is also a reference to a scientific study that established a connection between someone having a strong Mars and being a star athlete -- one of the most helpful scientific studies of astrology ever. Mars is here to provide energy, to provoke action and to pose deeper questions. Mars is here as a tool for making your potential real. It's going to be retrograde in Libra, the sign of relationships, which influence every facet of our lives. In April, there will be an unusual grand cross (Mars, Jupiter, Uranus and Pluto in an exact X around the Earth) followed one week later by an eclipse of the Sun in Taurus. Many other events cascade later into the year, including nearly simultaneous Mars-Saturn and Venus-Jupiter conjunctions. 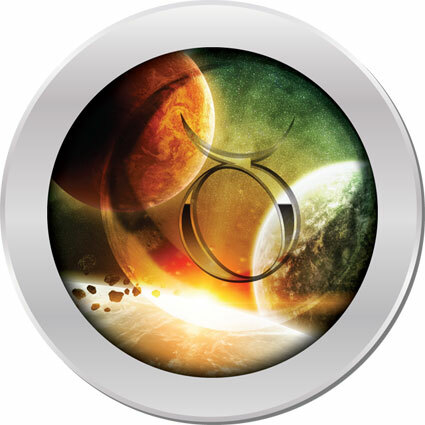 The Mars Effect glyph for Taurus by Lizanne Webb. Here samples of written Mars Effect readings, and here are a few audio samples. It would be easy for astrologers to make dire predictions about some of these scenarios (those will show up on the Internet in early April or so). This aspect pattern has some shadowy elements, and to be sure, it will present unusual challenges and opportunities. I have viewed my job as getting underneath the surface level, and to apply the astrology on the most creative dimension, relating it to each of us as individuals. Since late August, I've been exploring the 12 signs and rising signs for 2014, working from the most intimate and personal perspective, using a diversity of astrological tools: classical and modern planets, asteroids, centaurs, Kuiper objects (Pluto, Varuna and others) and some points that are way beyond them -- such as Eris and Sedna. I've been boiling my research down to two recorded readings per sign and rising sign, plus an extended written reading for each of the signs and rising signs. The result is a comprehensive work of applied astrology: The Mars Effect annual edition. Astrology reveals itself in layers. I've learned to do the audio first, working the wheel in the conventional direction -- Aries to Pisces. I started with gathering a chart file for each sign, added in the minor planets (with the help of Serennu.com). Then I opened my intuition and recorded the spoken-word portions, two segments per sign. Then I took a pause -- an actual holiday break -- did additional research, and wrote the signs in reverse, starting with Aries and heading backwards to Taurus. In the school of astrology taught by Alice A. Bailey, the reverse wheel method gets you closer to the soul level. Sketch of 2014 astrology for the sign Virgo. 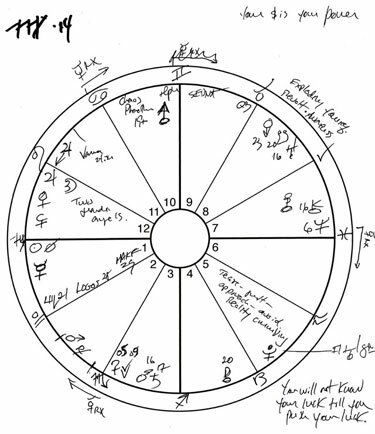 Each sign gets a chart, a sketch, two audio readings and one extended written reading. I use many extra points, including Chiron and other centaurs, asteroids, Sedna, Varuna and Eris. The written interpretations go to another depth, focusing on specific, high-energy, challenging or especially unique facets of your astrology. I view my role as someone that is here to help ease your way, point out opportunities, explain where challenges might arise and help you use them to your benefit. I have set out to inform and motivate you to make the most out of your time and energy. Reading your rising sign will provide you with two distinct points of view. If your rising sign and Sun sign are the same, then study your opposite sign. My readings also work for Moon signs and they are (I am told) helpful for unintrusively sussing out where your partner is coming from. Each of these readings has an investment of at least 10 hours of preparation, recording and writing. These readings work within the rarely entered borderland between a good prepared report and a personal consultation. They are also a study in modern astrology -- how to apply and explain the classical and modern factors, and come out with a reading that not only works but that you will refer to all year. So that is what I've been up to. And you have the benefits! As a recent Planet Waves customer, you can access all 12 signs for $79. Individual signs are currently $29.95. Many people who get one end up getting more -- a reason to go for the all-12 option. If you want to upgrade to the All Access Pass, please call Chelsea at (206) 567-4455. We anticipate the project being released on Monday night. Thank you for your trust in me as your astrologer, for your business and for being part of Planet Waves. PS -- Here are some samples of the written Mars Effect readings, and here are a few audio samples.